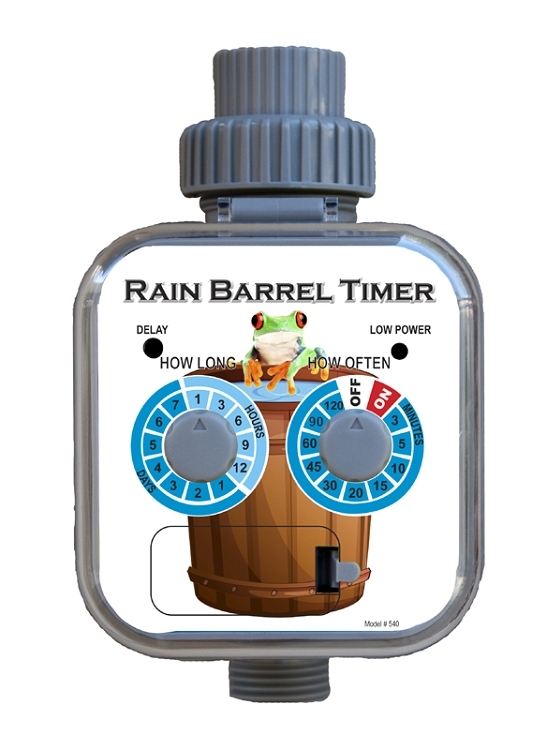 Rain Barrel Timer - Requires NO Pressure to operate. Perfect for rain barrels and gravity Irrigation systems. 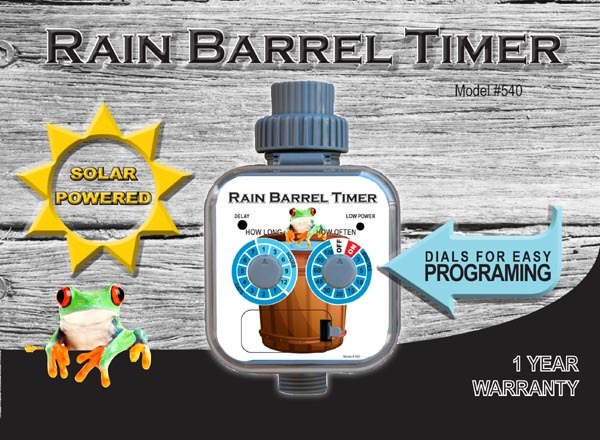 Rain Barrel Timer requires zero pressure to operate. Features include a solar panel to charge 2-AA batteries. 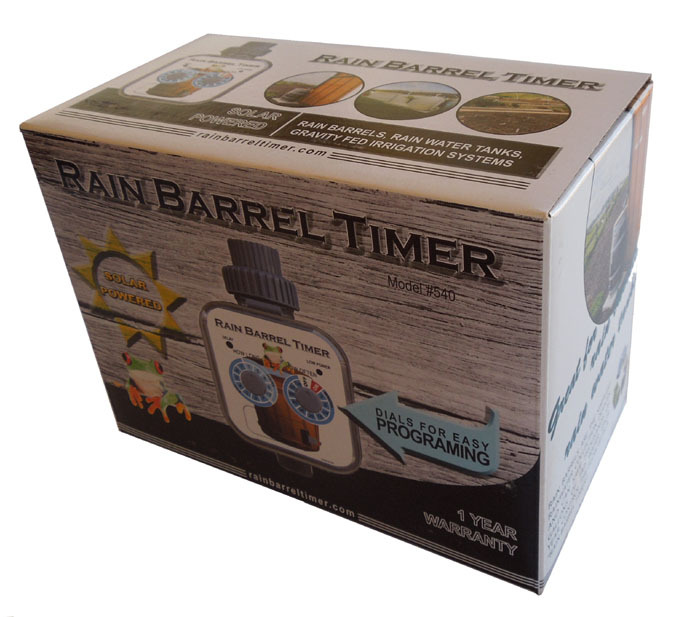 Rain sensor automatically shuts the timer down in even of rain and picks up the schedule when dry. Easy to set programs makes it the #1 choice of rain barrel users and people working with gravity irrigation systems. Note: Keep your timer filtered as particles in the barrel may cause your timer to stick open or closed. Particles from your roof, dirt, dust, birds all run into the barrel. Remember your not using a clean water environment as from your home water supply. * Solar = AA Rechargeable Batteries (not included) are re-charged via the sun. Timer operation is 24/7. ** When using AA Rechargeable Batteries (not included) in conjunction with the solar panel, be sure batteries are fully charged the first time. AA Alkaline may be used, but will not recharge.